LOL! this is the best family tree of all! right after Colin’s, of course! Poor Pauline – that’s a lot of people to climb over. 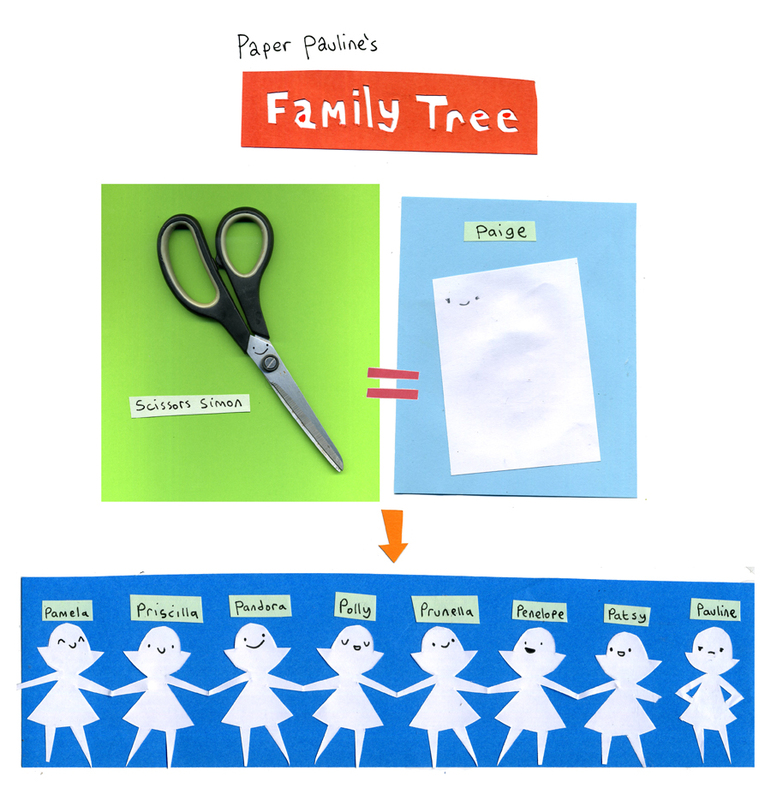 It would be good if there was a link to all the other family trees on each family tree page. wow that must have been painful! octuplets! Haha! I was definitely not expecting that. That’s hilarious! I can see why Pauline would be pretty grumpy after all that. Love it! Probably my favorite, though it seems kinda gruesome. Oh, I’d forgotten about her sisters being a chain. Anybody have the link to the comic where this was shown? This photo is probably from her younger years, before she’d had a bit of work done. Which sister is the “easy” sister!!?? Oh my – I wonder if Pauline broke off on her own or by some terrible accident? Is Scissors Simon guilty of murder? So many sisters! Are we gonna meet any of them in future comics?